“Keirunga” (‘The Place on The Hill’) was built in 1907 by Mr Robert Holt. Mr Charles Ord Tanner purchased the property in 1919 and he renamed it “Keirunga”. Mr George Nelson bought Keirunga in 1928 and lived there until his death, at the age of 93. George Nelson was born in England in 1871 and came to New Zealand as a young engineer. Mr Nelson had a fascination with Kew Gardens in England and this influenced his development of the Keirunga grounds. 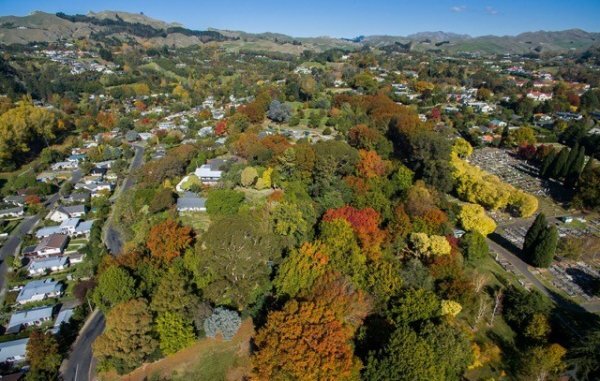 He collected oaks from all over Hawkes Bay and spent a great deal of time landscaping the area. In 1961 Mr George Nelson decided to gift 18 acres 1 road and 37 perches of Keirunga Gardens to the Mayor, Councillors and Citizens of the Borough of Havelock North, to include the house and its garden after his death. Council accepted the gift and in 1964 when George Nelson died, a condition in his will stated that the homestead and the remaining two and a half acres was to be offered to the Havelock Borough Council for a nominal sum. This they purchased bringing the total area of Keirunga to 17 acres, the original area first surveyed in 1906. Others who shared in the contribution were Mr Mason Chambers, of Tauroa and his daughter Mrs Helen Swinburn, Mr J. H. Coleman of Cottenham and as trustee of his mother’s estate, Mr William P Bell who gave access to Kopanga Road. Others who put in a lot of work are memorialised in Arthur’s Path and Charlie’s Path. At that time it was suggested that an annual fete be held in the gardens to commemorate the early settlers and the foundation of the province with the Council’s support. At the outset, £117/15/- was donated by members of settler families as subscriptions for a trust fund to support the maintenance and development of the gardens. Throughout its history ‘Stadacona’, then ‘Keirunga’, has been a centre for spiritual and cultural development. At one time the movement centred there numbered 600 of the then 1000 Havelock North residents. George Nelson died at the age of 93 in 1964. By 1966 the entire property was placed in the hands of the Mayor, Councillors and Citizens of the Borough of Havelock North. 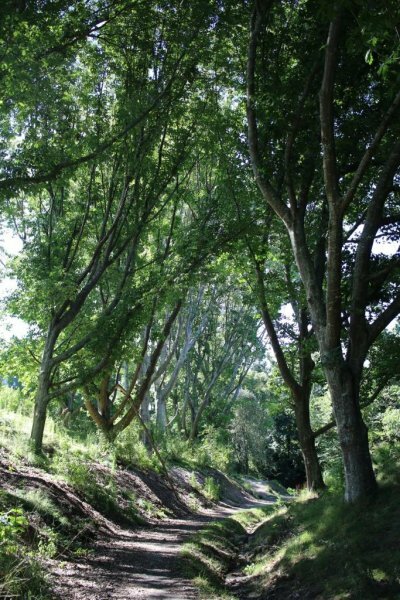 At that time, an enthusiastic group, led by Frank Bacon, approached the Council with the suggestion that Keirunga Gardens be developed as a cultural centre. The formation of the ‘Keirunga Gardens Society’ followed. In 1967 guided the restoration of the homestead and the establishment of the cultural centre complex (Stand-up for The Keirunga Oaks Campaign 2019).